← Obama? It’s a shame! Come on board the American time machine! On Independence Day 2012, many Americans are without power–electrical power, that is. A heavy storm a few days earlier knocked down electricity lines all along the East coast and left millions of households without air conditioning in the sweltering heat. It is like a journey in a time machine back to the days of George Washington. Only that the founding father’s household was better prepared: Ice blocks from the Potomac were hauled up to his estate in Mount Vernon in the winter and stored underground so they could be used to make ice-cream in the summer. This is a fair question. The 100 new Americans from 45 countries swear by oath that they will “abjure all allegiance and fidelity to any foreign prince, potentate, state or sovereignty” and hear very mixed messages on their celebratory day. 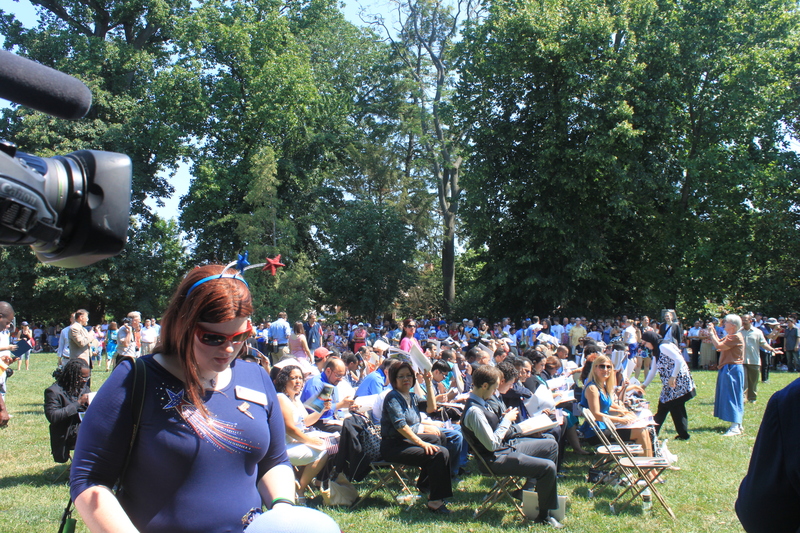 Lined up in rows of chairs on the Bowling Green in front of George Washington’s mansion, they use the programs to shield their heads from a relentless noon sun as they listen to the next speaker, the White House’s Director for Domestic Policy, Cecilia Muñoz, express doubts that have become so typical in this nation that mixes overflowing national pride with insecurity about the road ahead. Good luck to you, new Americans! According to Gallup polls, almost three quarters of your fellow countrymen and women believe that the country is headed in the wrong direction. In this tough environment it will be your job, according to Ms. Muñoz, “to ensure that this is not the end of our story, but the beginning of a new chapter”. This is all true and reason to be proud. But if you yearn for a day when America had no competition on all these fields, you have to travel back in a time machine – to a time when Americans were charged by powerful ideas, but no electrical power. 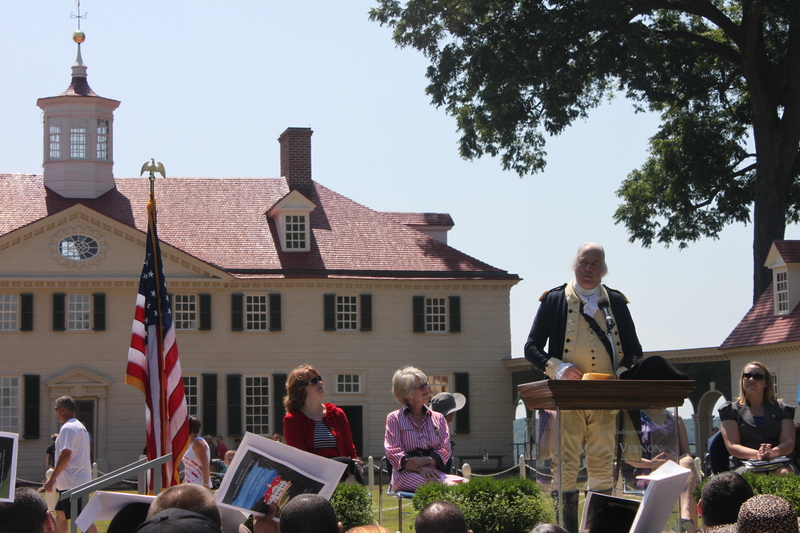 This entry was posted in Local Blogroll and tagged American patriotism, Independence Day, Mount Vernon, Patriotismus USA. Bookmark the permalink.